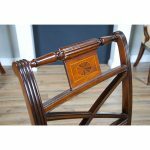 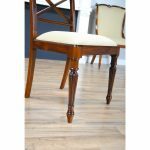 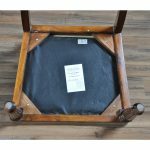 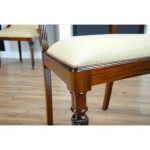 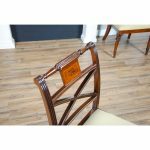 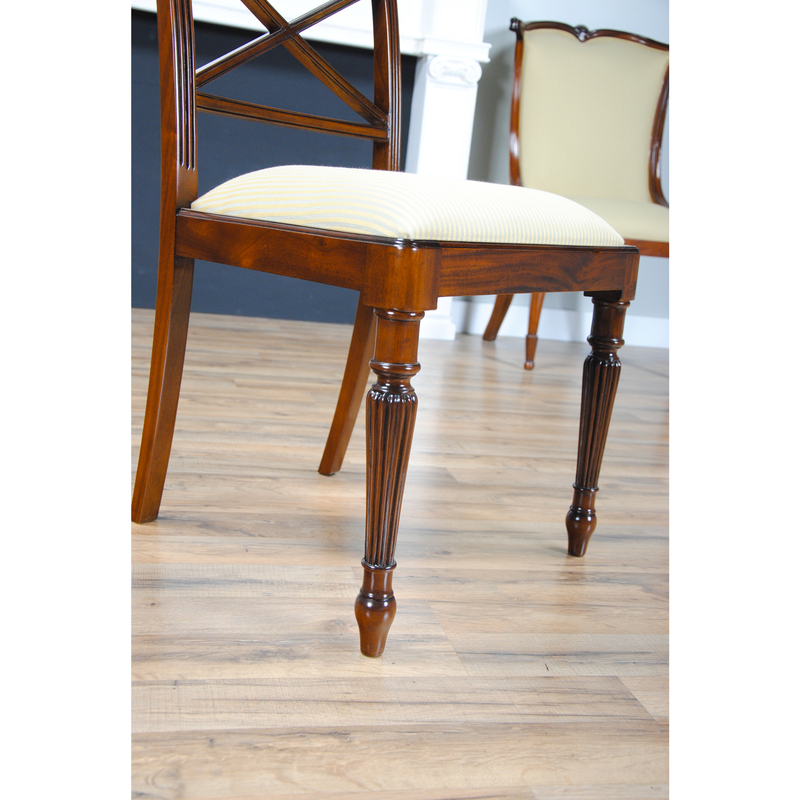 The Sheraton Mahogany Inlaid Side Chair from Niagara. 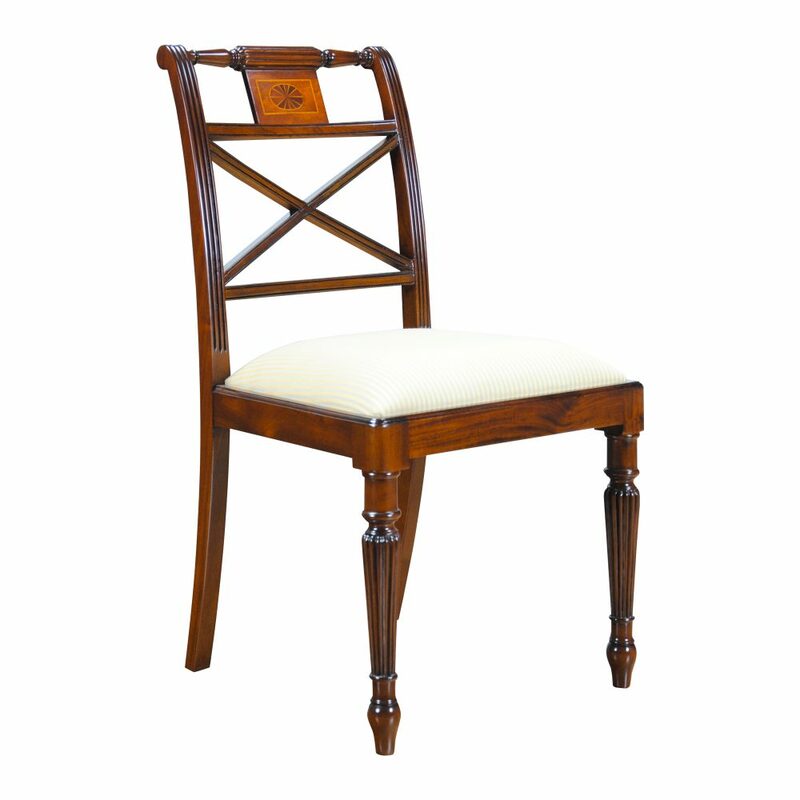 This Sheraton inspired chair design has a lot of great features that sets it apart from the competition. 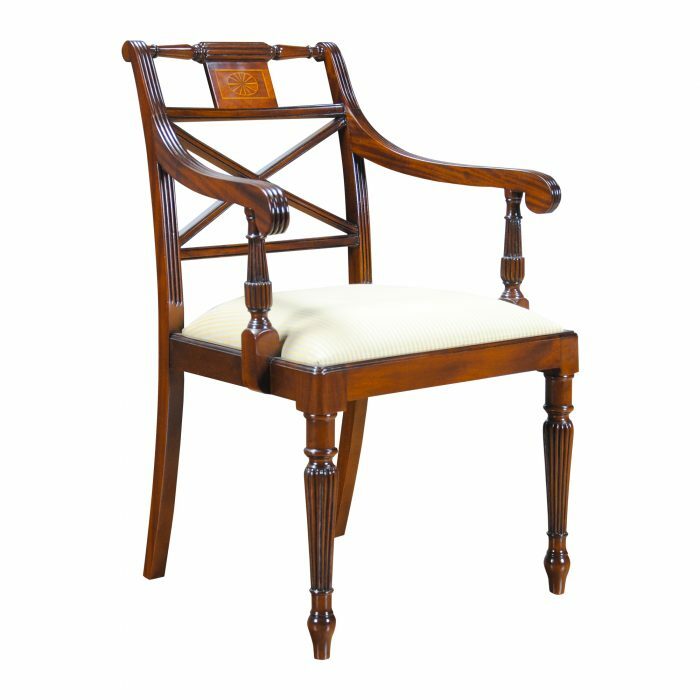 The chair is produced by skilled craftsmen using the finest quality, plantation grown solid mahogany. 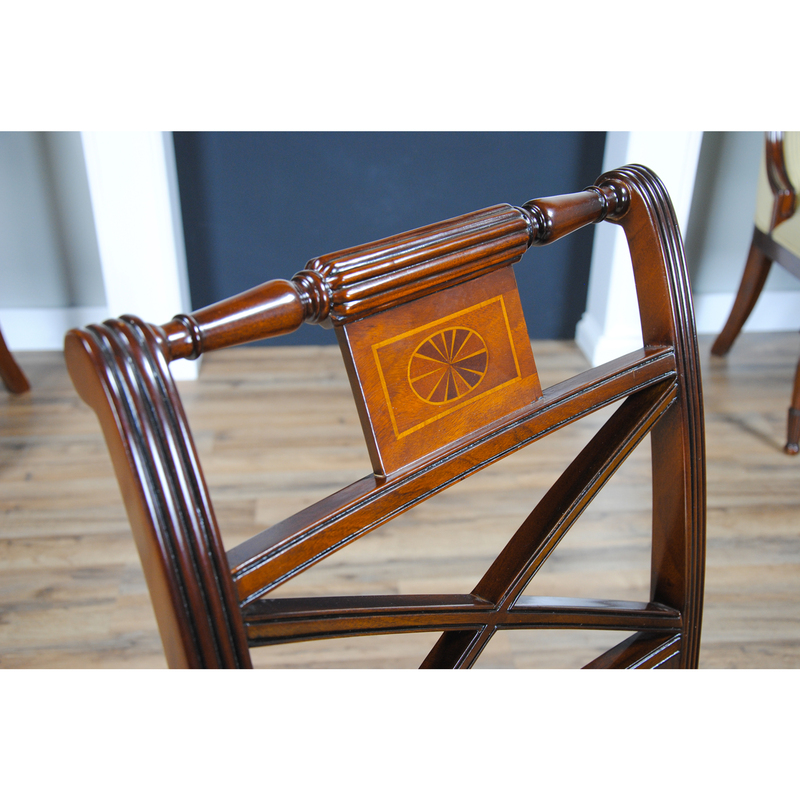 The veneer inlay details on the crest rail are also cut and assembled and colored by hand giving each chair a unique look. 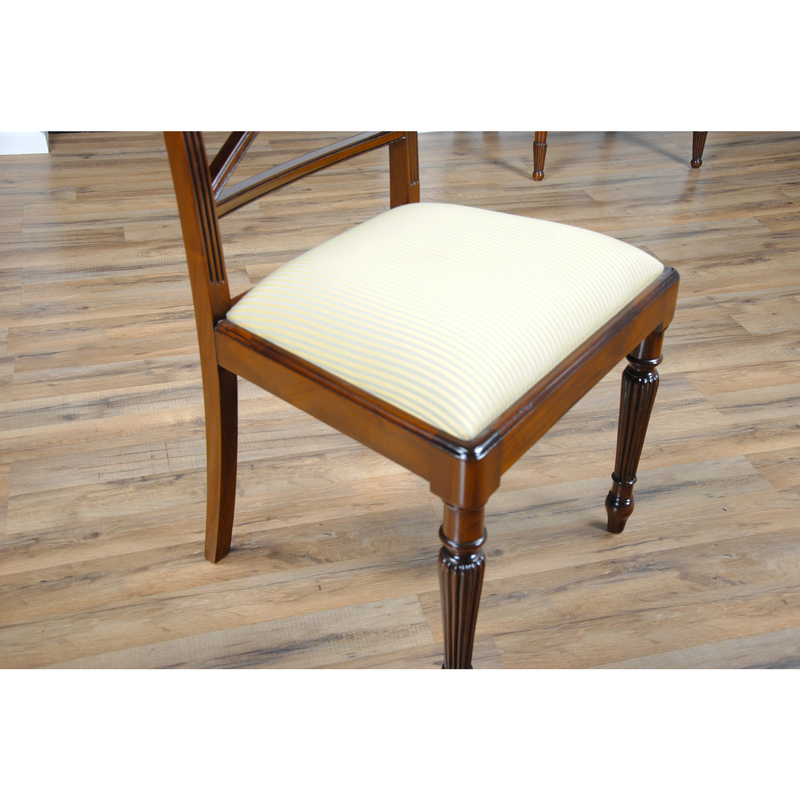 And the drop in seat makes fabric changes easy, simply remove the four screws, recover the seat with a fabric to your liking and the chair seat can be customized to your taste. Glue blocks in the chair seat frame are screwed and glued for extra strength and support. 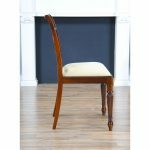 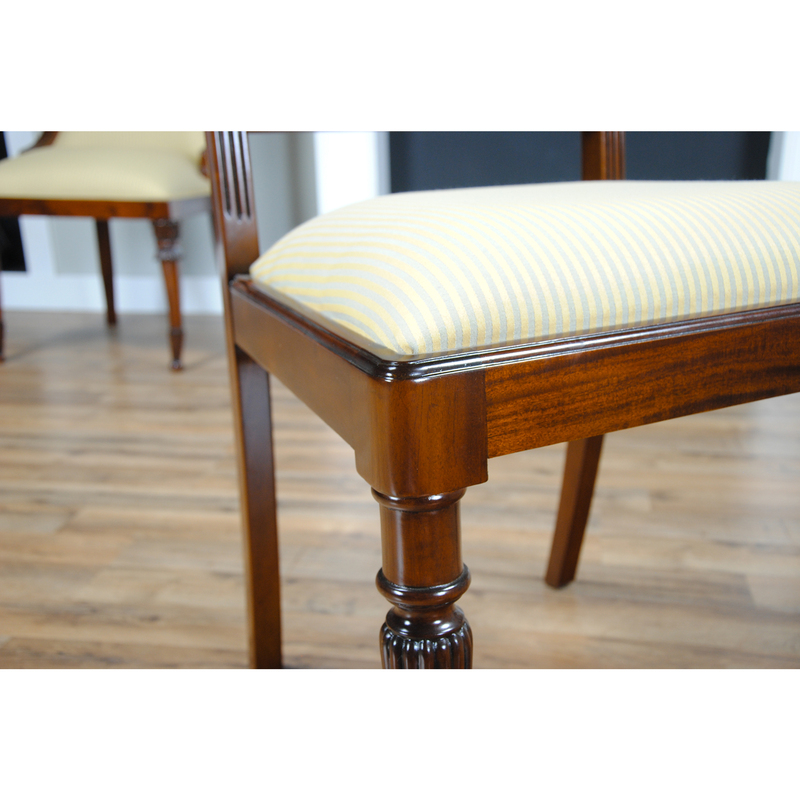 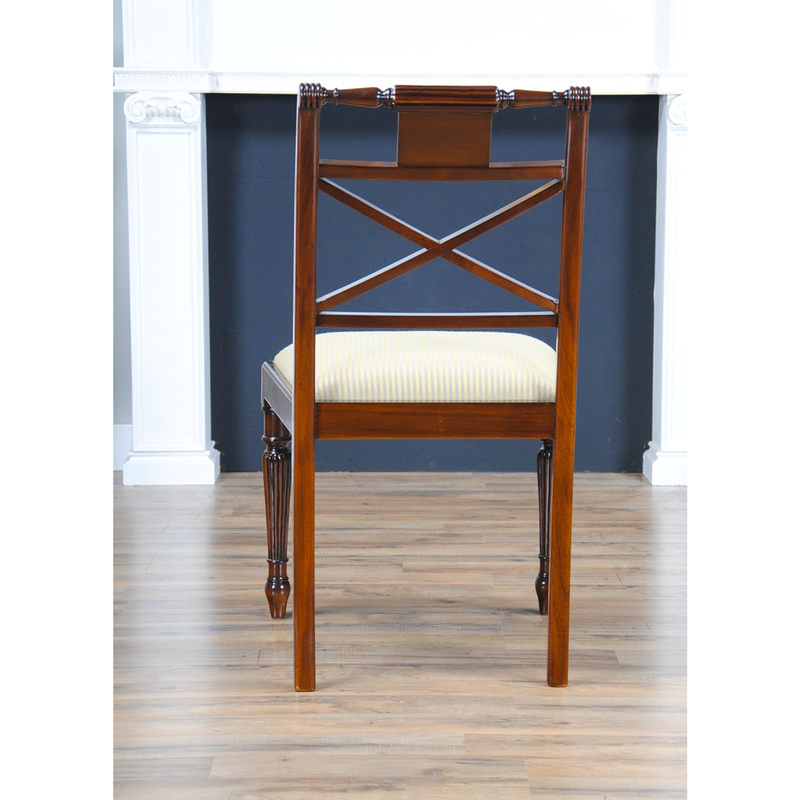 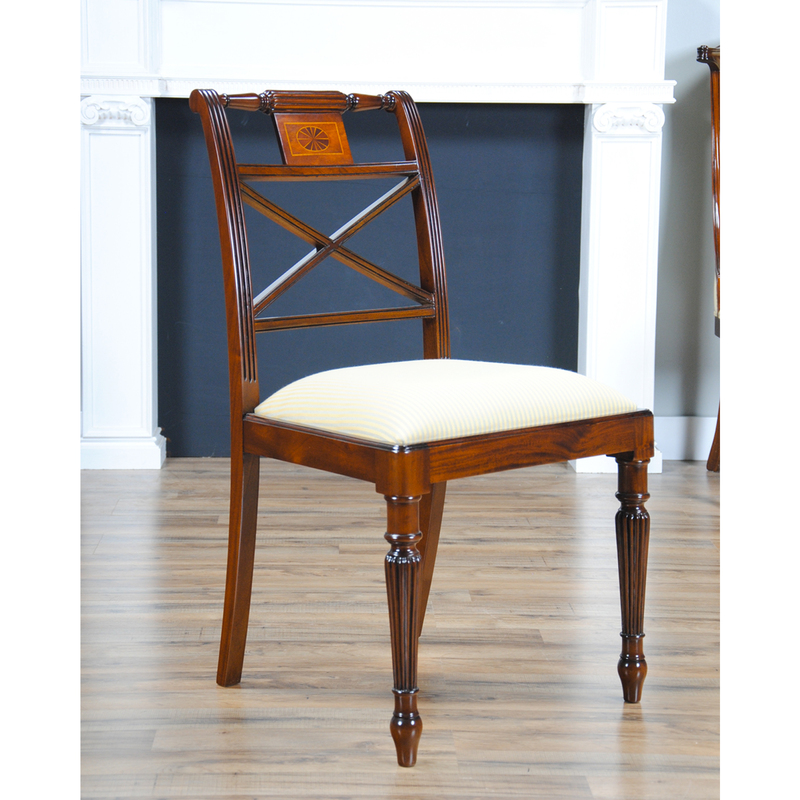 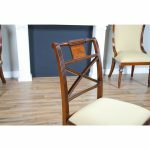 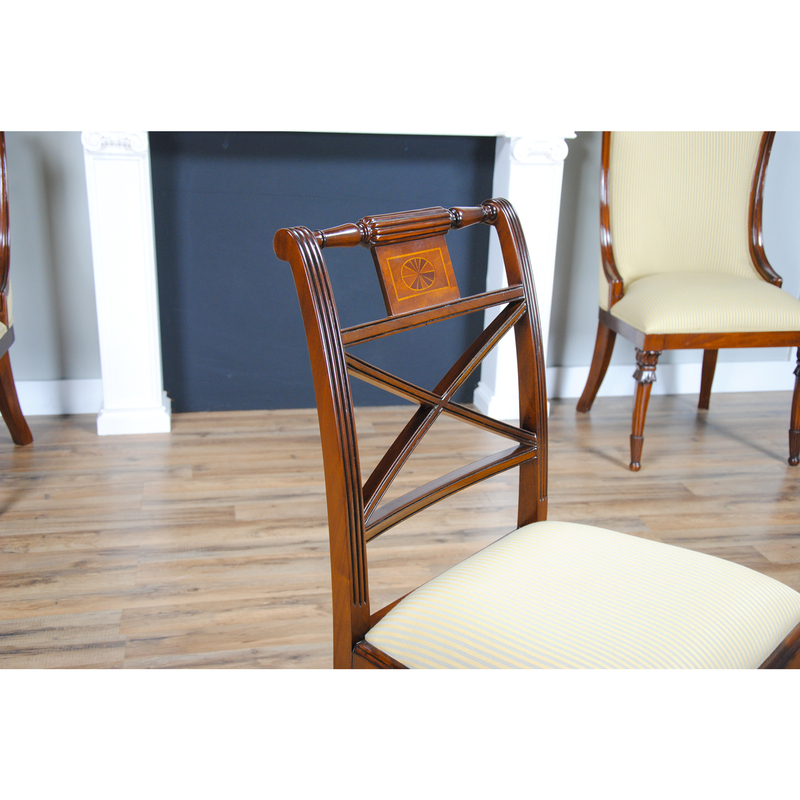 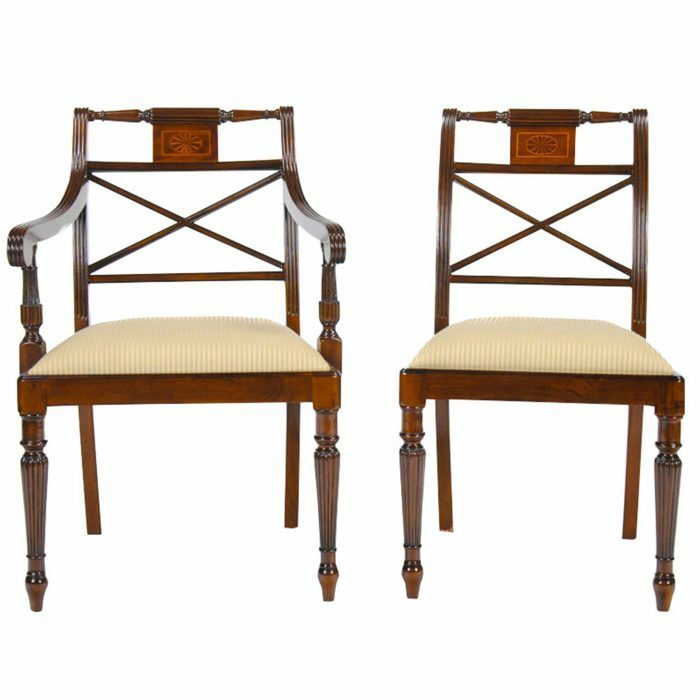 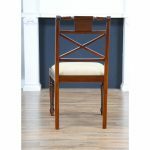 A Mahogany Inlaid Side Chair has a timeless design which will go well with any decor.